When most people think of needles they think of the hypodermic needles or IV needles they've encountered in the hospital. Acupuncture needles are much finer, akin to a human hair. When the acupuncture needles are inserted typical sensations experienced by patients include: slight pressure, a mild to moderate sting, warming and/or a lack of sensation. Many patients find the treatments soothing and relaxing. I have --- health problem. Can acupuncture help? For a list of conditions which can be treated by acupuncture click here. I've never tried acupuncture. Do you have a way to "try it out"? Need to relax? Afraid of needles? Want to see what acupuncture is about? Our 25 for 25 relaxation treatment (25 minutes for $25) gives patients new to acupuncture an inexpensive option for trying it out. The session also provides an opportunity to briefly talk with Dr. Liu about how acupuncture might benefit your overall health. I've heard an acupuncture treatment can be soothing. Do you offer a treatment that focuses on relaxation? Yes, our 25 for 25 relaxation treatment (25 minutes for $25) can help you relax. See the answer to the question above and our services page (click here) for more information. Your first session will be longer as it includes a bit of paperwork, the initial consultation, and acupuncture treatment. Expect about 10 to 15 minutes to fill out the initial paperwork. Then, before administering treatment, Dr. Liu will discuss with you, in private, your current health concern, and your medical history. The first session typically lasts about 1 to 1 1/2 hours. During subsequent treatments Dr. Liu will discuss with you the progress of your condition and any other changes in your health since the last session. Then, she will administer treatment, which typically lasts 30 to 60 minutes. The number of treatments needed depends on your condition. Usually chronic problems require more treatment; whereas, acute problems need a bit less. During your first session Dr. Liu will make an assessment based on her discussion of your condition and medical history and your response to the initial treatment. You may begin to feel some effects during your first treatment, but the full effect typically requires a few treatments. 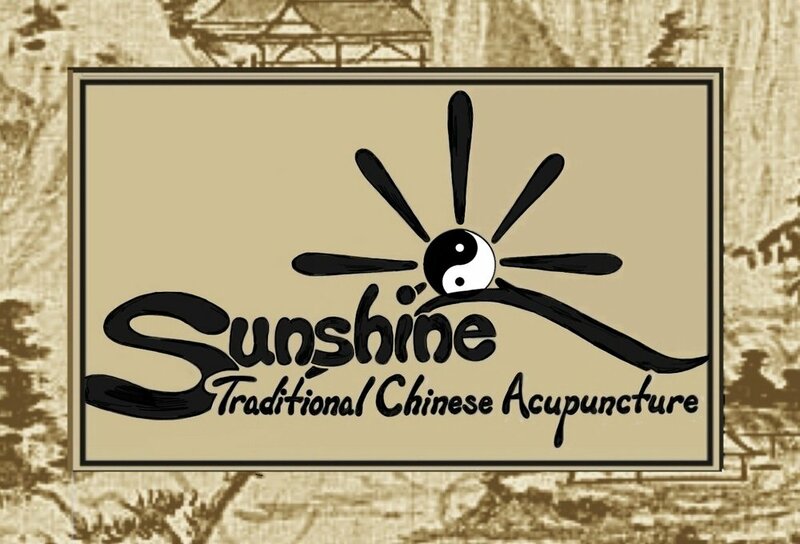 Sunshine Traditional Chinese Acupuncture is an in-network provider with several major health insurers. We also carry coverage for veterans. Coverage for acupuncture varies from insurance carrier to insurance carrier, plan to plan, and health condition to health condition. If you plan to use health insurance for your treatment call our appointment line at 715-629-2108 and we will take your insurance information and check on coverage for you prior to your visit. If you would like to get information from your insurance carrier yourself, we have compiled a list of important questions to ask about acupuncture coverage (click here). My insurance will not cover acupuncture. Now what? Sunshine Traditional Chinese Acupuncture welcomes self-pay patients. You can find a list of our fees for service here. Various patient discounts are also available, including discount packages and reduced rates for seniors, students, and UWRF/CVTC faculty and staff (click here). There are several acupuncturists in my area. What makes Sunshine Traditional Chinese Acupuncture special? In short: Dr. Xiao Yan Liu! Dr. Liu has dedicated her life to the study of traditional Chinese medicine (TCM) and acupuncture. She has 15 years of experience in the field, and received her Ph.D. in acupuncture from China's premier university for the study of TCM, Shanghai University of Traditional Chinese Medicine. In addition, she received a Master's degree in TCM herbal formula from Gansu College of Traditional Chinese Medicine. She has also worked in major metropolitan hospitals in China and clinics in the U.S. For more about Dr. Liu's background click here. To read what Dr. Liu's patients have to say about her treatment click here. My chiropractor in the Twin Cities does acupuncture. Why should I come to Sunshine Traditional Chinese Acupuncture? Under Minnesota law chiropractors can practice acupuncture after a mere 100 hour training course! Compare this to Dr. Liu's years of practice and extensive study, up to and including, doctoral level study. In short, 100 hours doesn't even scratch the surface. Study, training, qualifications and experience matter! Acupuncture has its origins in traditional Chinese medicine (TCM) theory, which is centuries old. As acupuncture has become more popular in Western countries Western medical researchers have begun to conduct scientific investigations into the mechanisms by which acupuncture works. For more information on TCM theory and scientific investigation of acupuncture, including short informational videos and longer documentaries, click here.